Canyon choose the magical island of Madeira to launch their completely re-worked Spectral, a no-compromise 140/150mm, 27.5" trail bike that oozes German engineering excellence, mixed with a bit of Scottish flair. We were lucky enough to make it to the beautiful Portuguese island to check it out and see how she performs. Team rider Joe Barnes (the Scottish connection) has been heavily involved in the development of the new Spectral, a bike he calls his go-to everyday ride, and himself and lead engineer Denis walked us through the new model and the key factors that influenced them in the new design. 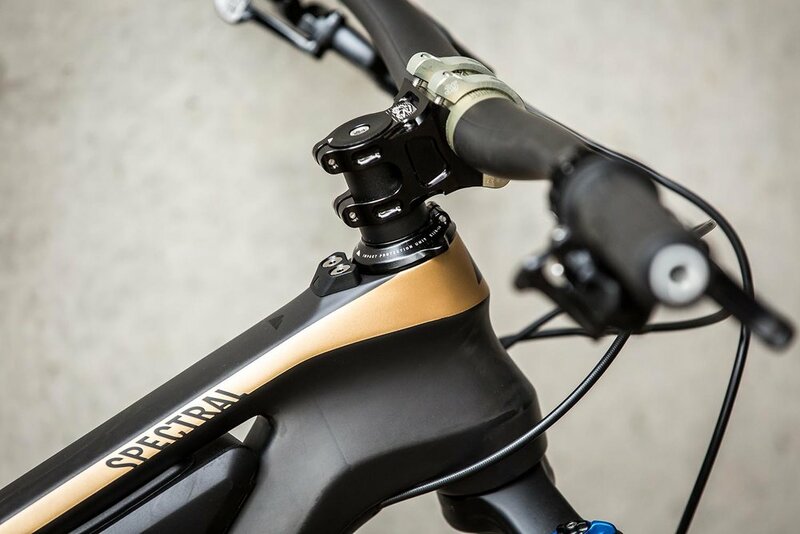 The all new Spectral is a 140mm rear, 150mm front travel trail bike built around a new triple phase suspension linkage, the concepts of which have leaked down from Canyon's DH rig the Sender. 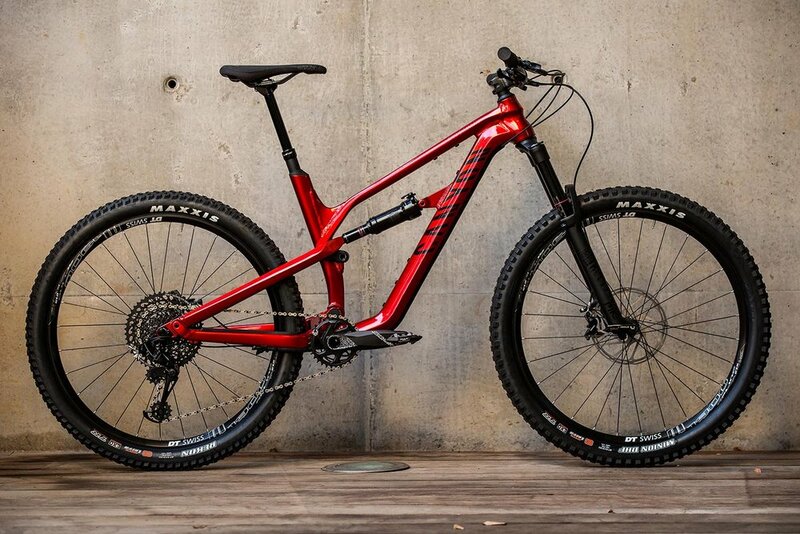 The new suspension design and positioning is a big step up from the previous Spectral. Not only does it improve the stroke of the shock, it has allowed for an increased standover height and use of a larger 150 mm dropper post. Further still, the new linkage decreases stress on the bearings at the pivot points improving longevity. 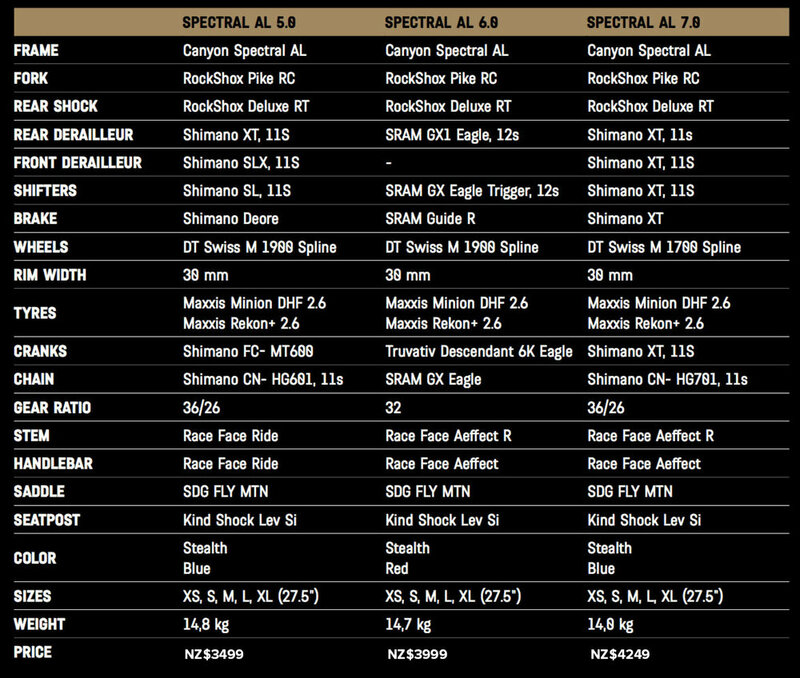 These are some excellent founding principles for any bike but what makes the Spectral different. In a world were there are seemingly no bad bikes anymore, company's need to go the extra mile to make their bikes exceptional and stand out from the crowd and this is where Canyon have excelled themselves. In a salute to the peerless heritage of German engineering Canyon have not only built a world class frame but they've factored in a host of simple yet ingenious features to the new Spectral that lift it above and beyond. The first and most visually obvious of these is the Integrated Seat post clamp, hidden in the slightly bulbous seat post the integrated clamp simplifies the bike and removes any potential wear and tear or damage to the carbon frame that can be caused by traditional clamps. Up next in the innovative design features is the cable channel, an internal yet external solution to the cable routing conundrum and one that when you look at it you can't help but think, "Why has no one thought of this before". A durable plastic cover has been added to the downtube to give you a way to easily route your cables yet have access to them at anytime and as a bonus it acts a frame protector. Everyone loves the sleek, minimalist look of internal routed cables but mechanics the world over curse the difficulties they bring and is there anything more frustrating than the incessant frame rattle that a lot of internal cables cause? But here a little bit of german ingeniuity has solved these issues. Another new touch is the IPU -The Impact Protection Unit is Canyon's take on the now popular top tube protection systems, it basically stops the handle bars from impacting the top tube when you crash. As you would expect from Canyon's precision it worked effortless and didn't restrict the handlebar turn required for tight switchbacks. X-Ring Bearings and caps - When your lead development rider lives in Scotland, durability and weatherproofing are factors that are going to come into the design mix. The X-ring bearings are a combination of fully sealed industrial bearings and a bolt on cover that keeps them protected from the elements. The final little touch from Canyon that we like was the custom Thru Axle, which again just added to the build quality and overall attention to detail that oozes from the new Spectral. In terms of standards the Spectral isn't future proofed it is the future - Boost spacing, metric shock, wide 30mm rims (6 of the 8 models) and 2.6" tyres on all but one model. For those of you not up with the latest standards these are them in a nutshell - all boxes ticked! Not content with mere frame upgrades Canyon have come up with two bolt on accessories to further the Spectral's impressive list of features. The very Enduro, Frame Case which fits snuggly in the top triangle and carries all your essentials, and the Eject system a two bottle, side-entry take on the water bottle space issue that many modern frame designs struggle with. This was initially designed for the small and XS frames only but is now being offered as an add on extra for all frame sizes. Spectral CF SLX - full carbon frame - the mac daddy all carbon frame, Canyon have been industry leaders in the carbon arena for some time and this frame is just an extension of that heritage. It's only available in the top two models CF 9.0 LTD (NZ$10,999) and CF 9.0 SL (NZ$7899). Spectral CF - carbon front / Al rear - A very common cost saving compromise, here the rear triangle is machined in 6066 aluminium rather than carbon which adds durability to the chain stays as well as the obvious dollar savings, this would be the go-to set up for most. 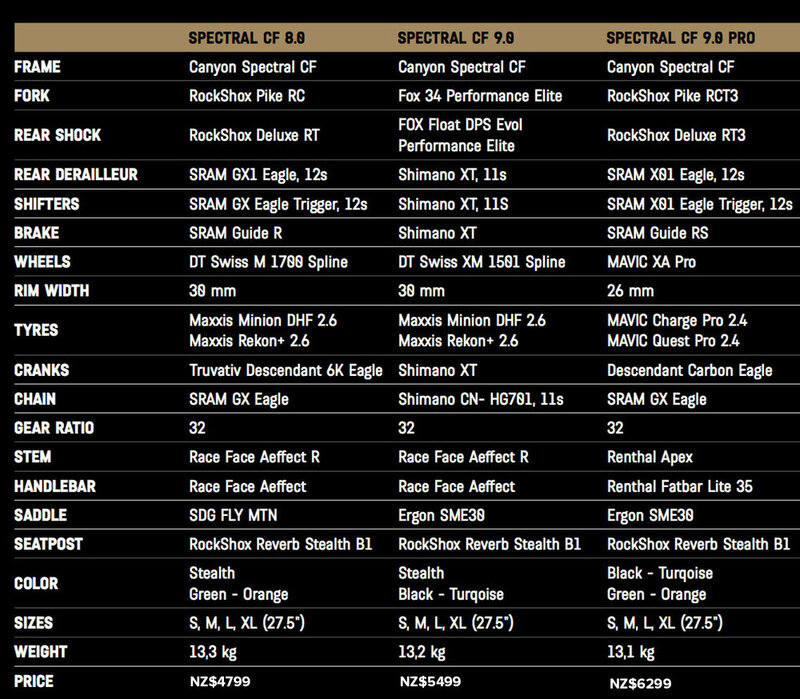 It is available in three sharply priced versions - CF 8.0 ($4799), CF 9.0 ($5499) and CF 9.0 Pro ($6299) utilising a mix of SRAM, Shimano, Rockshox and Fox across the models - see chart below. Spectral AL Full Aluminium - That just leaves the full aluminium version, long the go-to material for mountain bikes, while it may be heavier, 6066 is tried and tested and offers superior value. Again there are 3 models to choose from with similar spec'd components as carbon versions but with the amazing price point of AL - AL 5.0 ($3499), AL 6.0 ($3999) & AL 7.0 ($4249). Enough of the tech specs and features, How did it ride?, I hear you all asking. Leaving the dry, dusty, early summer conditions of New Zealand, I thought I'd be in great shape for heading to an island off the tip of Northern Africa with a similar latitude to Sydney but I was proved wrong. A few days of torrential rain had turned Madeira into a mud caked, slip and side but as conditions steadily improved throughout the day, we found some grip on the long, flowing trails and managed to get a solid impression of the Spectral. My first downhill impressions were of a nimble, agile bike that soaked up the rough trails with efficient ease. Canyon's goal of a fun & playful bike had definitely come to fruition and as we moved from the slippery, rocky, high altitude trails to the more flowing, rooty & loamy, forest clad trails of the island's lower climes, the Spectral seemed to find it's sweet spot. With the majority of Madeira's huge network of trails being shuttle accessed we didn't really have too many long or technical climbs but on the ones that we did do, the Spectral was exceptionally efficient and economical, showing off some of it's XC pedigree. Standouts for me where the new suspension platform with its DH (Sender) DNA, this gave the Spectral the feel of a bigger bike in rough terrain. The combo of the 2.6 Minion front tyre and 30mm DT Swiss rim excelled in balancing grip, speed and dampening and the overall ride feel and build quality of the Spectral was superb. If I were to tweak anything I'd look at a different rear tyre especially for Madeira, it would be hard to look past a Minion DHR in your chosen width to match the front. And for those who really want to push the boundaries of this bike a bigger fork could definitely take it to the next level. The Spectral is not a monster truck that plows over everything, it's more of a lively feature hopping, fun-packed bike that lets you choose the lines that you see as the most satisfying, one that I think would feel at home in most riding destinations within New Zealand. Obviously one day testing on new trails is not enough to give a complete impression so keep watching and we will get you a full review out soon, in the meantime check out all the bikes on CANYON's website and keep your eye out for more exciting news from the Canyon crew next week. A well priced carbon offering from Canyon, that delivers on more than just bells and whistles. Canyon Factory Racing DH enters a new season of World Cup battles with a lethal roster of returning riders and a fresh face. Two days of racing over nine epic stages saw Greg Callaghan and Cecile Ravanel on the top steps of the podiums! Here's a round up and one minute of race action before the full highlights.